Eyebrows have been trending for some time now. Sleek Brows® Sculpting is a newer technique, here in the States, but originated in the UK. The unique characteristics about this service is the 3-D sculpting gel. The gel will also sculpt or train your eyebrow hair, and keep your eyebrows looking very groomed with out the need of makeup. The achieved high definition result is similar to permanent make-up except it’s 3-dimensional and non-invasive. 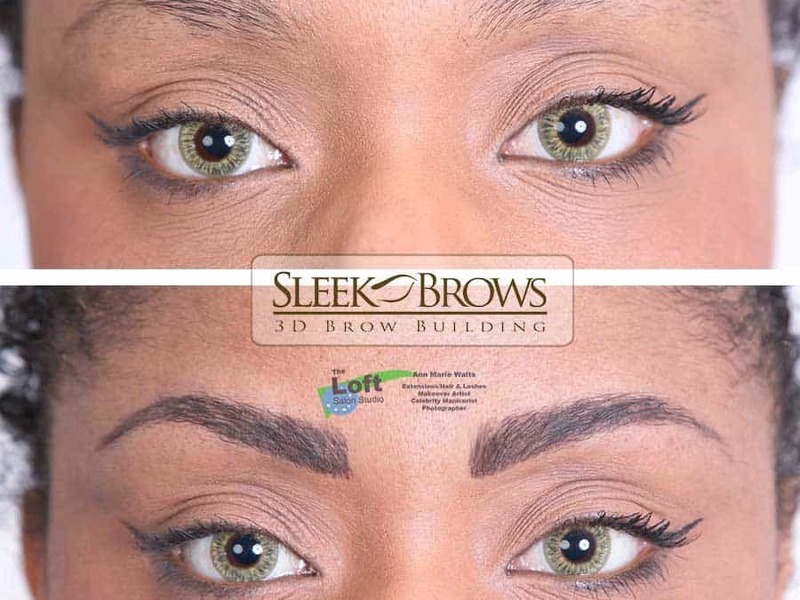 The look is tailor-made for each person and suitable for those who have naturally good eyebrows as well as those who suffer from partial or complete eyebrow loss. Treatment as intricate as ours is not available from any other company. Are you tired of using powder and or pencil? The pigment of the sculpting gel can be customized and can last up to 3 weeks. How do you care for your new Sleek Brows?